We would like to thank you for your interest in submitting your organization’s grant application to Newborn Hope, Inc. Newborn Hope Grant Applications are now accepted online. You may also submit a grant application via mail. Grant applications must be postmarked no later than March 1st. *Please note our grant deadline has changed. Only complete applications will be considered. Please click here to download the grant application Word Doc. Our evaluation tool will give you a better understanding of how Newborn Hope, Inc. evaluates applications. Please Note: you can save your progress by clicking “Save and Continue Later” at the bottom of this form. Incomplete applications will not be accepted. To provide ongoing care to women with high-risk pregnancies. To provide transport or care to critically ill newborns and their families. To perform research into prematurity prevention or the care of premature infants. To provide equipment to care for premature infants. Complete the table below for your organization as a whole, based on the most recently completed fiscal year. Use the "Explain Other funding Sources" box for 'Other Sources'. Only use if your Source of Funding is not listed above. Complete the table below for your organization as a whole, based on the most recently completed fiscal year. Use the "Explain Other Expense Budget" box for 'Other Expenses'. Describe the organization and its founding, development, mission, geographic area served, goals and objectives. Include a brief description of or story about how a grant from Newborn Hope, Inc. will personally help an individual or group. This can be a fictitious situation – it will help Newborn Hope, Inc. understand the vision for the requested grant. Describe, in detail, the project and the amount of funding requested. i. Outline the need for the project. Include the issue and/or opportunity addressed. ii. Describe activities planned to accomplish goals and evaluation of project. iii. Document as a new or ongoing activity. iv. Identify the target population and numbers served. i. Outline the need for the project. Include the issue and/or opportunity addressed. ii. Describe activities planned to accomplish goals and evaluation of project. iii. Document as a new or ongoing activity. iv. Identify the target population and numbers served. Outline a timetable for implementation of proposed project. Provide specific outcome measures that will be used to evaluate the impact of the project on the targeted population. Itemize a budget for proposed project. 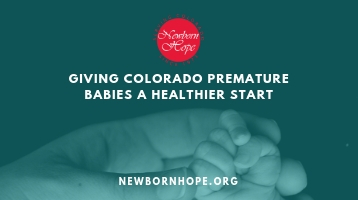 Describe at least 2 ways that the project will provide public recognition of Newborn Hope, Inc.
Indicate whether aid has been sought or received from other organizations during the past year. i. Identify other organizations participating in the project. Describe the challenges and opportunities facing the organization in the next three to five years. Include any additional information that is vital to convey in this proposal. Your organization’s most recent available report, if available.